The Tampa Bay Times recently reported that Pinellas County is constructing two new toll lanes that are scheduled to open by 2022. This project, which is part of the $580 million Gateway Expressway plan connecting I-275 to U.S. 19 and the Bayside Bridge, reportedly includes two new elevated roadways. Thus far, it has already led to partial road closures and a change to the entrance of the St. Pete-Clearwater International Airport. Critics of the project point out that people who drive along 118th Avenue and are unable to pay a toll will be left with one fewer lane. And while state engineers predict the new toll option will relocate a lot of the current traffic, whether that happens remains to be seen. What is the Benefit of Toll Roads? Toll roads are intended to make traveling more efficient because they have fewer exits, a reduced number of stoplights and typically have less traffic than traditional highway lanes. They can also have higher speed limits than the traditional highway lanes which is further intended to help move traffic along for those willing to pay to utilize the toll roads. What Should I Understand About Florida’s Toll Roads? Map out your route in advance. In addition to the fact that this can help ensure that you don’t miss an exit, it can also help you calculate the costs of tolls so that you won’t be caught off guard. Research your payment options. 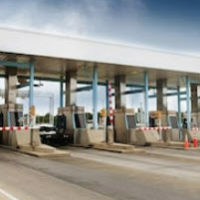 While some toll booths in Florida are manned by people who you can pay with cash and get change from, many others are unmanned and require exact change in coin in order for you to proceed. Merge with caution. Ensure that you begin merging into the toll lane well in advance of approaching the toll booth. Pay extra attention to other drivers. Keep in mind that the other drivers utilizing the toll road probably have reasons for doing so that are similar to your own. There’s a good chance that they are in a hurry to reach a destination and speeding can have terrible effects for both other drivers and pedestrians. Have You Been Injured in an Accident on a Toll Road? Unfortunately, sometimes an attempt to save time by utilizing a toll road can result in different consequences including injuries that aren’t your fault. If you have been injured in an accident on a toll road as the result of the negligence of another driver, we can help. Contact the experienced Tampa car accident attorneys of The Pendas Law Firm today and we will help you recover the compensation you are entitled to. The Pendas Law Firm also represents clients in the Fort Lauderdale, Orlando, Fort Myers, Miami, Daytona, Jacksonville, and Bradenton areas.